Most employers won’t be surprised to learn that millennials love social media, but they might be surprised that many applicants from all age groups use sites like LinkedIn and Facebook to find employment. That’s right: these websites are now for a lot more than cat videos and an update about what someone had for lunch. Glassdoor reports that 79 percent of all applicants, regardless of age, used some form of social media to find new jobs. Such an audience means this applicant pool can also be filled with experienced workers and advanced professionals who could fill upper level positions. With potential executives scouring their social pages for new opportunities, not engaging these sites can potentially slow or limit your company’s hiring practices. Those who are wary of Facebook can breathe easy, because iCIMS’ Hiring Insights found that, while 1.1 million people submitted applications through social media in Q3 of 2015, 63 percent of those came through LinkedIn. 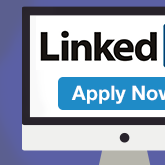 Widely regarded as the most professional social media website, LinkedIn provides easy access to a variety of potential employees, allowing businesses to connect with otherwise unreached applicants. Google+ had the second highest, raking in 21 percent of the quarter’s applications. The remaining 16 percent came from Facebook, so while it isn’t the highest, some companies, particularly big ones looking to fill many diverse roles, should look into expanding their reach. Properly utilizing these websites can have many benefits. CareerBuilder also cites that 29 percent of hiring managers found something positive on a social media profile that encouraged them to turn a candidate into an employee. Forbes also noted that 37 percent of employers currently use social networks to judge whether or not a candidate is right for them. This of course could also involve negative aspects, driving them to deny an applicant. Talent Acquisition, like many fields, is ever-changing, and with the surging popularity of these sites, employers will have to learn to make the system work for them. Fortunately, good applicant tracking software can automate social media needs for you, posting to news feeds all over the world with the click of a single button. The key to any business is having great employees, and the challenge now is to go out and find them. Our site is filled with helpful information that can add on to what I’ve said, and you may find this reflection on Q3 of 2015 and these tips on recruitment success particularly worthwhile. Just remember that social media is already a huge part of the recruitment process, and it’s only going to get bigger in the coming year!